Greek lawmakers began debating changes to the country’s constitution on Tuesday, with party rapporteurs making their opening statements. Speaking on behalf of SYRIZA, Alternate Foreign Minister George Katrougalos urged all parties to act “responsibly” in order to achieve a wide consensus. “We must avoid procedural tricks [and] debate with honesty, so that we can have a revision that is democratic and liberal, that will strengthen social and individual rights,” he said in Parliament. Parliamentary proceedings today will last until midnight and will pick up on Wednesday at 10 a.m. The debate has been expended until Thursday to allow for a larger number of MPs to speak. 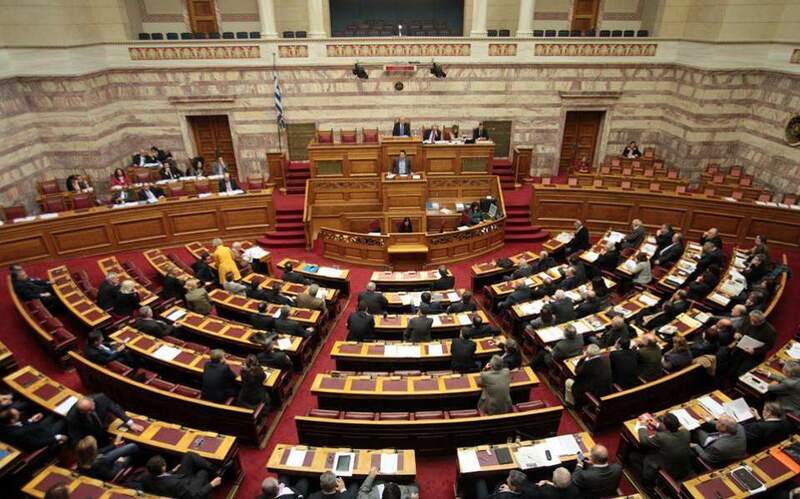 Lawmakers will discuss and choose between the proposals submitted by the two biggest parties, ruling SYRIZA and the main opposition New Democracy, following a debate in a relevant parliamentary committee in previous months. Rules stipulate that a proposal needs to be approved by at least 151 MPs. If a proposal gets 151 votes but fewer than 180, then it will need to be backed by at least 180 deputies in the next parliament, which will be formed after elections later this year. Accordingly, if a proposal gets 180 votes in the upcoming ballot, then it will only need to pass the 150 mark in the next parliament. Things could become complicated for the government, which relies on 145 SYRIZA lawmakers and six non-SYRIZA MPs.